Reprising an old cliché, I can remember Tuesday, March 12, 1968 like it was yesterday. It was the day of the New Hampshire Presidential primary and the first test for RN’s return to politics after announcing his candidacy at the Holiday Inn in Manchester on February 2. While Michigan Governor George Romney had dropped out of the race, there was still a write-in campaign conducted for New York Governor, Nelson Rockefeller. But as final returns came in, Richard Nixon was rolling up nearly 81,000 votes – 78 percent, and more votes than any candidate in any Presidential primary in New Hampshire’s history. Smashing was an understatement. As a 23-year old second-year law student in New York City, and part time researcher/writer for the campaign, I couldn’t wait to get out of class and head midtown to await the results. In March, the campaign headquarters were still in a cramped suite of offices on 5th Avenue, but in anticipation of the broader effort, the campaign had leased the former offices of the Bible Institute of America – a creaky six-story building at 450 Park Avenue, at the corner of 57th street. And on the night of the 12th, hundreds of staff and supporters began stuffing into the 4th floor of the Bible Building – the floor which would later house our press and communications team for the summer and fall campaign. Then, the lights turned up, a murmur began, the band began playing and the crowd began to roar as we all surged forward. Our colleague, Dwight Chapin, then a 27-year old personal aide to Mr. Nixon came into view, followed by a beaming Richard Nixon, with Mrs. Nixon right next to him – aglow in happiness. And at their side were Tricia and Julie, and all were now being mobbed by friends and staff wanting to shake their hands and shout their joy. And I was right there one of them – absorbed by the magic of this moment. 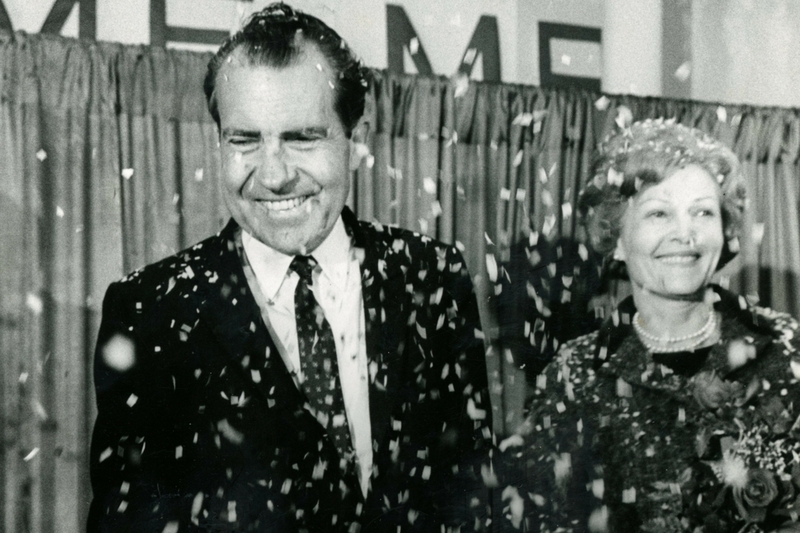 Richard Nixon’s unexpected, unlikely rise from the ashes of shattered defeat had come aflame. Along with Dwight Chapin, that night included colleagues whose friendship I would treasure for years to come – among them Pat Buchanan and our fellow Board Member, Jack Carley. The new slogan for the campaign was “Nixon’s the One.” Of that, on the night of March 12, 1968, there was no doubt. Richard Nixon was back – the overture to the greatest comeback in modern political history.